Side-Only, Other Effects Processor from Bereich03 Audio. Bereich03 will soon complete its studio processor offer with a new 500 module designed to process only the side part of a stereo signal. A Solo function is also included to monitor either the side or mid of the signal, or create a mono signal from a stereo source. The Side-Only processor has a 2U format and employs hard bypass and relays for the EQ and low-cut. 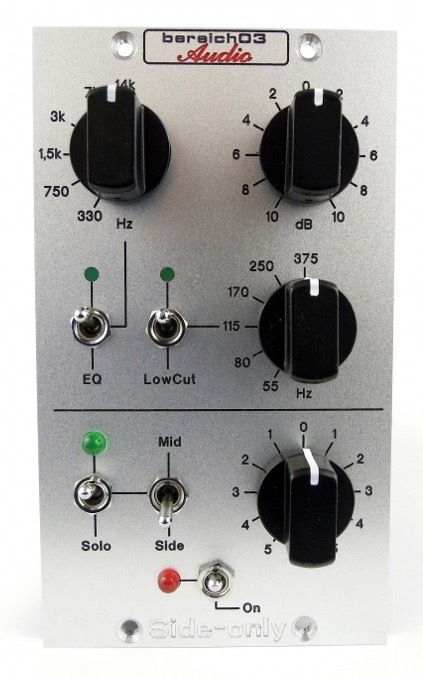 Bereich03 says that it is also possible to order the module with 0.5 dB steps for the gain and 1 dB steps for the EQ. 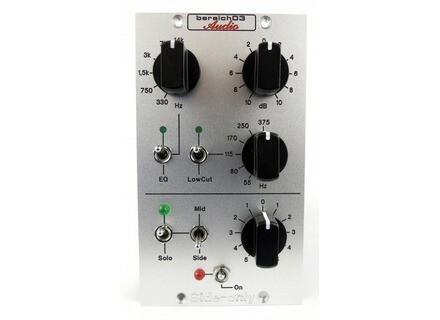 The Side-Only will be introduced at Musikmesse in Frankfurt next month and will be part of a larger 500 mastering system. Its price will be 400 € excl. taxes, you’ll find more info soon at www.bereich03-audio.de. Radial Engineering Trim-Two stereo passive DI box Radial Engineering announces the availability of the new Trim-Two stereo passive direct box/isolator equipped with a volume control. An AVB card for the StudioLive AI/RM PreSonus will offer is a few weeks an optional AVB audio network card for its StudioLive AI and RM digital consoles. An LA-2A clone from Chile Chilean Stam Audio Engineering is now accepting pre-orders for their replica of the legendary Teletronix LA-2A compressor, called SA-2A.